Over the course of the Second World War, 12,393 men, women and children from twenty countries were registered as forced labourers at Völklinger Hütte. Of these, 261 lost their lives, sixty of them children and infants. 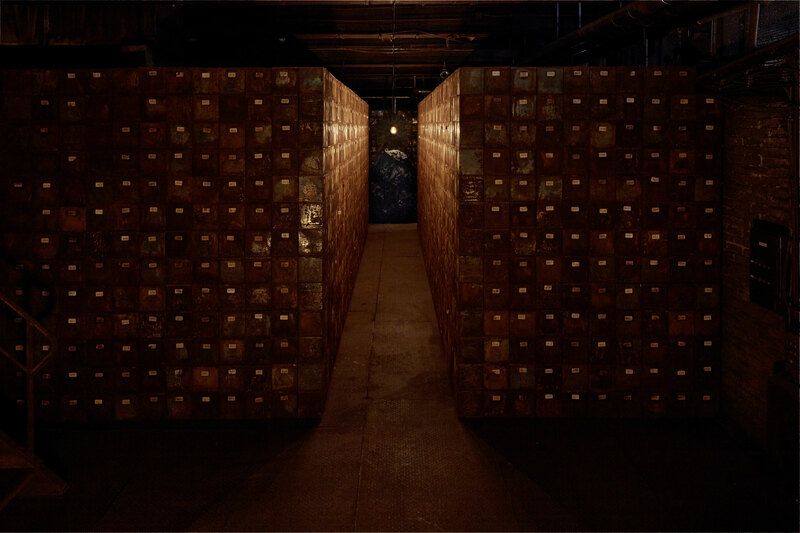 These people can be encountered between the claustrophobic walls of this archive of memories, with its seemingly endless stacks of archive boxes. 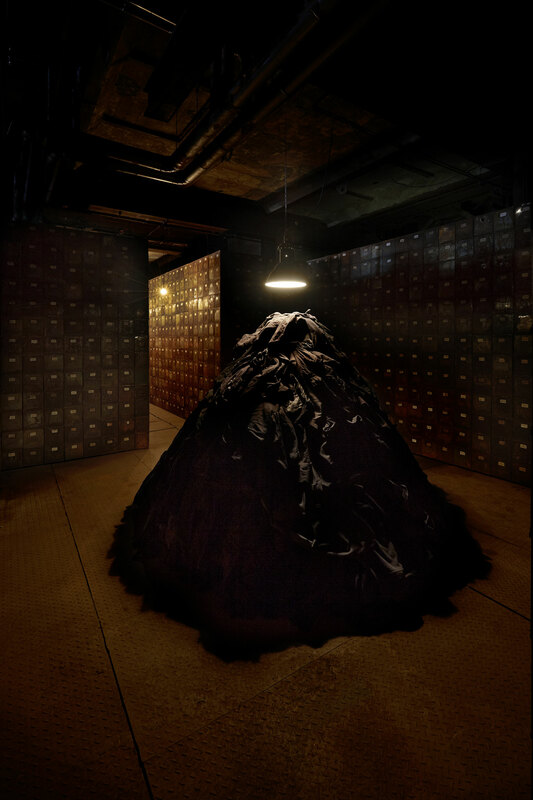 Here and there, visitors catch a glimpse of a number, or of black trousers and jackets piled into a mountain of clothes. Meanwhile, the names of the forced labourers are whispered from all corners of the installation, sending shivers down the spine. 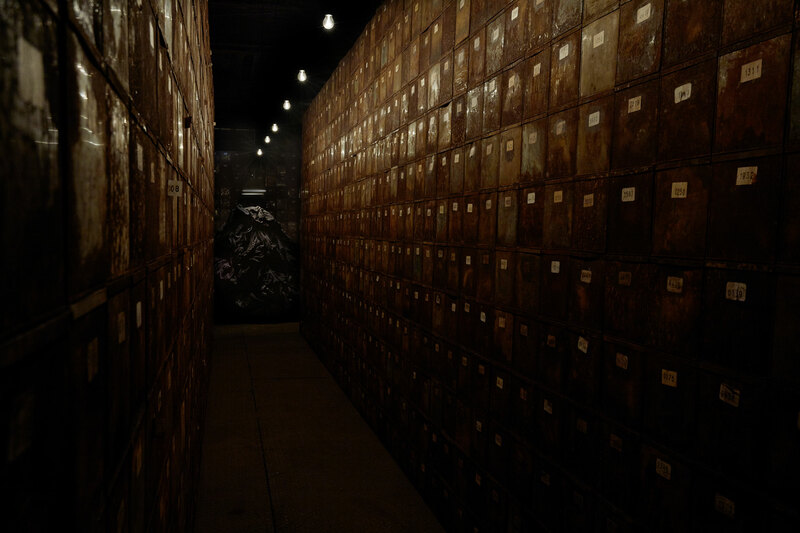 Boltanski’s installation instantly transports visitors to another world.